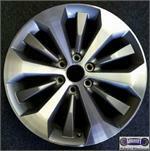 5196a, Used Rims, 17X7-1/2, 6 LUG, '04-'07, CHEVY, SILVERADO, 1500, TAHOE, MACHINED,SILVER POCKETS, ALLOY. 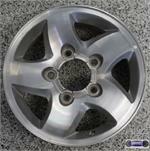 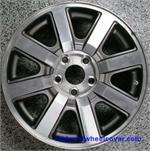 5196b, Used Rims, 17X7-1/2, 6 LUG, '04-'07, CHEVY, SILVERADO, 1500, TAHOE, PAINTED SILVER/ SILVER POCKETS, ALLOY. 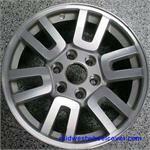 62472, Used Rims, 16X6-1/2, 4 LUG, 4-1/2, 07-09, NISSAN, SENTRA, MACHINED FINISH, SILVER POCKET, 7 SPOKE, ALLOY.